Global climate models predict signiﬁcant changes to the rainfall regimes, globally. The typically strong seasonality in the grassland biome, covering one third of Earth’s ice-free land surface, dictates plant dynamics and biogeochemical cycling. The lack of strong seasonality in the humid tropics similarly dictates patterns and processes in biogeochemistry. How do changes in rainfall regimes affect biogeochemical cycling in diverse biomes? How do changes in rainfall regimes, particular an increase in the frequency of drough,t alter redox-driven greenhouse gas production and consumption? What is the role of soil organic matter in mitigating the effects of droughts in terrestrial ecosystems? 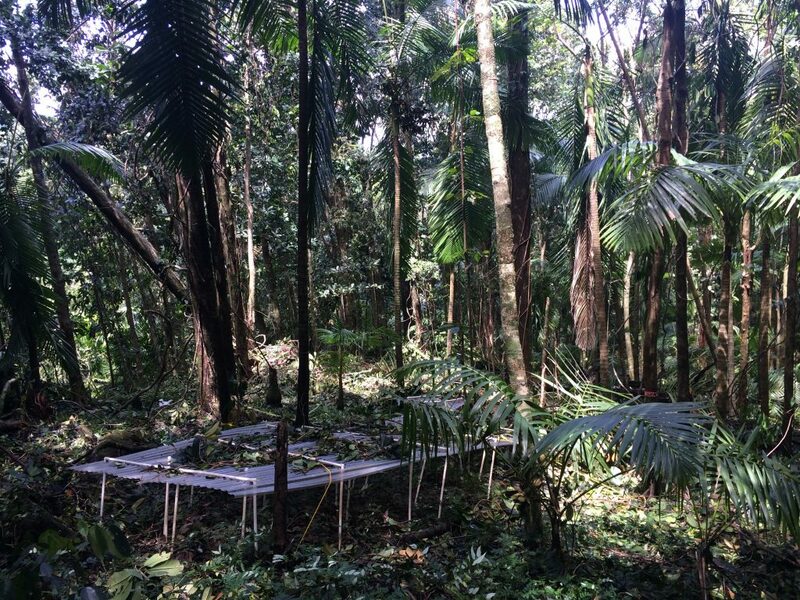 We are using manipulative experiments (rainout shelters) to alter rainfall dynamics in California’s annual grasslands and humid tropical forests in Puerto Rico. We are exploring the impacts of changes in water inputs on soil redox fluctuations and associated biogeochemistry. We are also determining the potential for soil organic matter to help mitigate drought effects in both ecosystems. Copyright © 2019 Silver Lab | University of California, Berkeley.